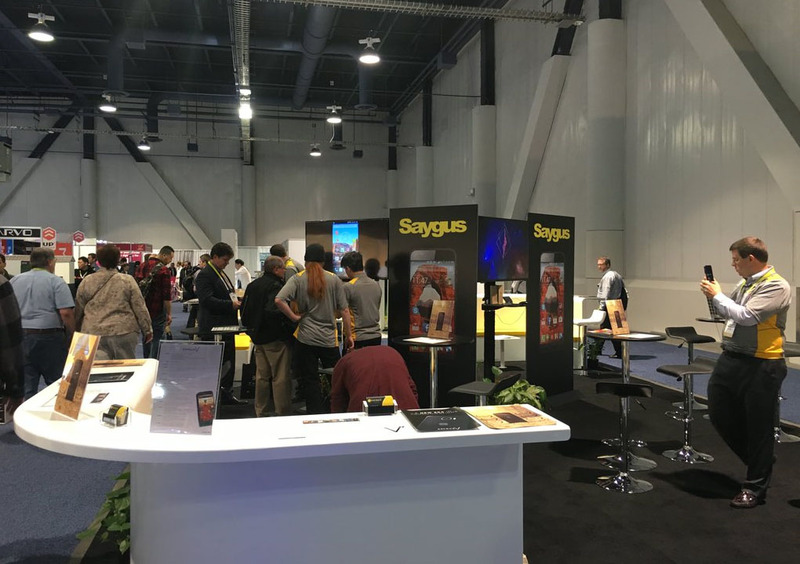 The Saygus V2…You Already Asked for a Refund, Right? The Saygus V2 or V-Squared is back in the news this week, unfortunately. I don’t really have much to say about it, other than we met with them at CES and came away shaking our heads at the disaster that they have become since announcing their phone at last year’s CES. Honestly, we didn’t bother reporting on our meeting because we sort of decided to not even talk about this laughable company following their shady as hell Indiegogo campaign and 2-day, slap-in-the-face-to-backers, VIP party at E3 this past June. Not only that, but their main broseph, Chad Sayers, wasn’t around at the time we stopped by their booth and their lone PR rep wasn’t willing to just open up about how bad the past year has been. But yesterday, they took to Twitter to basically say what they told us at CES, along with some other details. The main takeaway is that the phone is supposed to ship in Q1. It won’t, but that’s the new timeline. Rather then spend much time on this, here is a bulleted list of what’s going on for those who for some reason, have not canceled and asked for a refund. Again, they “think” they are going to ship in Q1. They won’t, but they have put together some sort of in-house engineering team to build it themselves. Hah, OK.
Oh, they are also already blaming the Chinese New Year for a delay that hasn’t happened yet. They will have some new version built for the Sundance Film Festival, because, you know, Saygus likes to party at events unrelated to smartphones! They are still trying to convince people that the Snapdragon 801 is worth using. It’s 2 years old at this point and not worth using. They say it’ll have Marshmallow, but that’s unlikely. Actually, they Tweeted that the latest prototype was “fresh off the plane” and running Marshmallow at CES, but it wasn’t. It was running Lollipop and had zero Google apps installed. They won’t have their “newest” fingerprint scanners ready until early February. But again, they “think” they will ship Q1. They are making a new phone that they hope to release later this year – towards the holiday season. At least that’s what they told us at CES. They will apparently give you 50% off the new phone if you keep your order and don’t ask for a refund. Why have you not asked for a refund yet? Some are still waiting for refunds that were requested in September. You should read everything through their Twitter account – it’s amusing as hell. I honestly don’t know if we’ll ever talk about this company again.